Blockchain is suffering the same type of overhype that virtual reality is. For years, people in various sectors have been hearing about Blockchain. It’s been portrayed as a true game changer. The problem is that so many people still aren’t seeing real world benefits. To them, like virtual reality, it remains a nifty technology without a practical application they can really wrap their heads around. In 2018, we saw an increase in funding for Blockchain startups. However, like any new technology, Blockchain is still immature in its implementation; as a result, many Blockchain startups are expected to be just a waste of time and money. False starts in Blockchain deployment will lead organizations to failed innovations, rash decisions, and even complete refusal of this innovative technology. 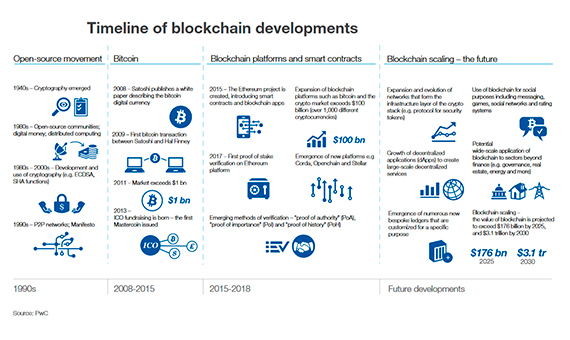 Undoubtedly, Blockchain technology in the future will affect every aspect of businesses, but this is a gradual process that requires time and patience. 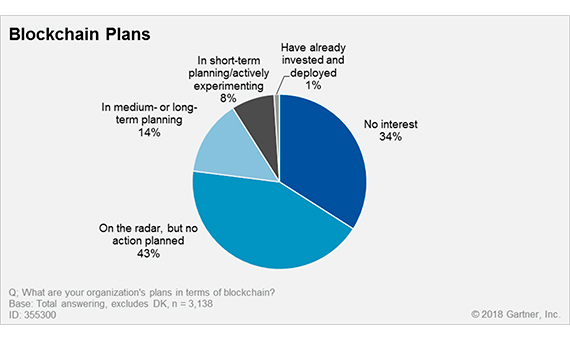 Gartner predicts that most traditional businesses will keep an eye on Blockchain technology, but won’t plan any actions, waiting for more examples of the best applications of Blockchain technology. The Blockchain ‘emerging disruptor’ companies are fast growth startups that have found themselves in the position to be able to disrupt other businesses in their sector. They often have the benefit of being well-funded, and headed by executives who are experienced and well-connected in their industries. 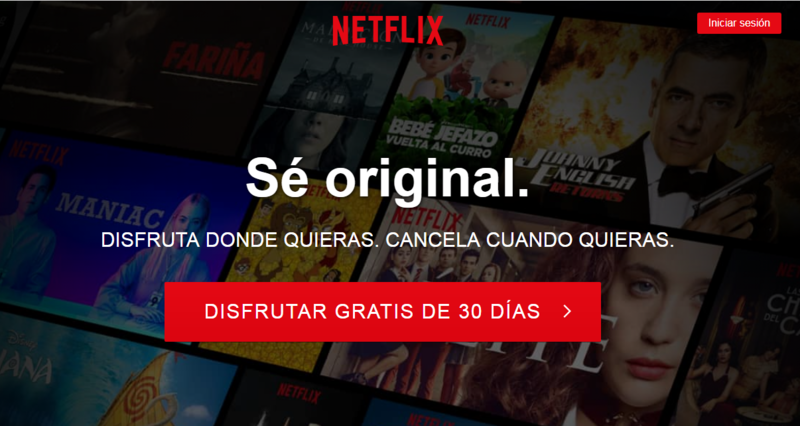 For example Blockchain could be useful for content streaming companies like Netflix because it could be used to store data more securely and to pave the way for interoperability. If nothing else, it could provide something resembling an API, allowing third-parties to read and write data to the Blockchain. With the growing prevalence of data breaches and the massively interconnected world we live in, new ways to verify identity and protect privacy will be game changers. 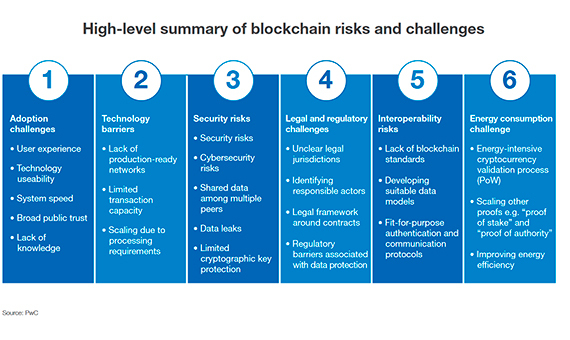 Blockchain is a natural for this role because the whole point of it is to provide robust, incorruptible — yet encrypted — recordkeeping that anyone can easily verify. For a Blockchain system to be penetrated, the attacker must intrude into every system on the network to manipulate the data that is stored on the network. The number of systems stored on every network can be in millions. Since domain editing rights are only given to those who require them, the hacker won’t get the right to edit and manipulate the data even after hacking a million of systems. Since such manipulation of data on the network has never taken place on the Blockchain, it is not an easy task for any attacker. While we store our data on a Blockchain system, the threat of a possible hack gets eliminated. Every time our data is stored or inserted into Blockchain ledgers, a new block is created. This block further stores a key that is cryptographically created. This key becomes the unlocking key for the next record that is to be stored onto the ledger. In this manner, the data is extremely secure. 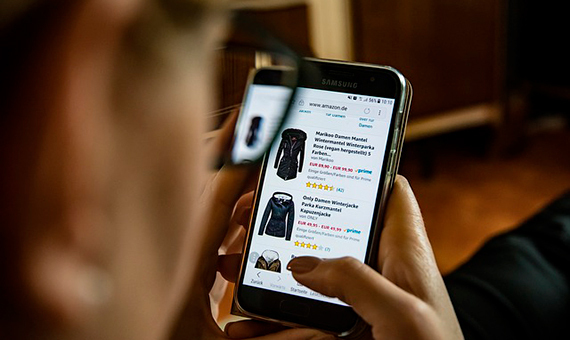 It’s no secret that the internet of things is coming to connect our devices and to make it easier than ever for us to create and store data about ourselves. This applies to everything from wearable devices to home hubs, connected fridges and any other type of internet-connected device that you can imagine. The International Data Corporation (IDC) reports that many IoT companies are considering the implementation of Blockchain technology in their solutions. Therefore, IDC expects that nearly 20 percent of IoT deployments will enable Blockchain services by 2019. 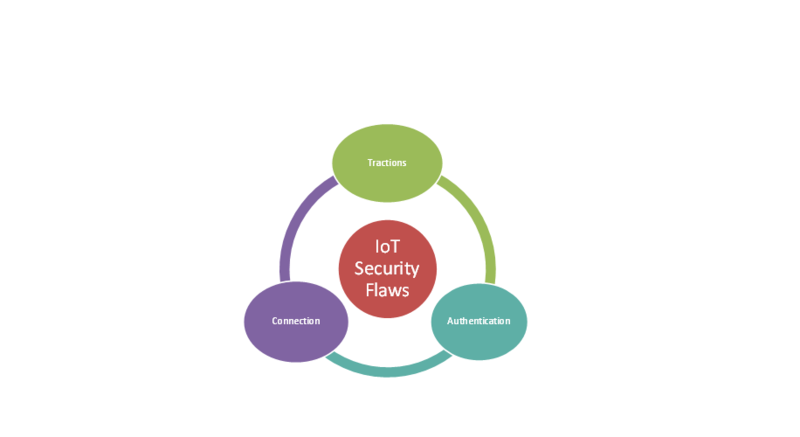 IoT security flaws generally revolve around three major events: authentication, connection, and tractions.Thanks to these vulnerabilities, already hackers have managed to take control of implanted cardiac devices, disable cars remotely, and launch the largest DDos attack to date. Smart contracts are one of the most interesting aspects of Blockchain technology because they have the potential to bypass third parties and to create airtight agreements that must be honored. This has plenty of practical applications in all sorts of industries, from finance and real estate to logistics and recruitment. Any industry that relies on agreements to function can get a lot out of smart contracts. Do Supersonic Flights Have a Future?